3.5″ LCD TFT Touch Screen Display Kedei on AliExpress – Arduino, Raspberry Pi and ESP8266 Small Computers! 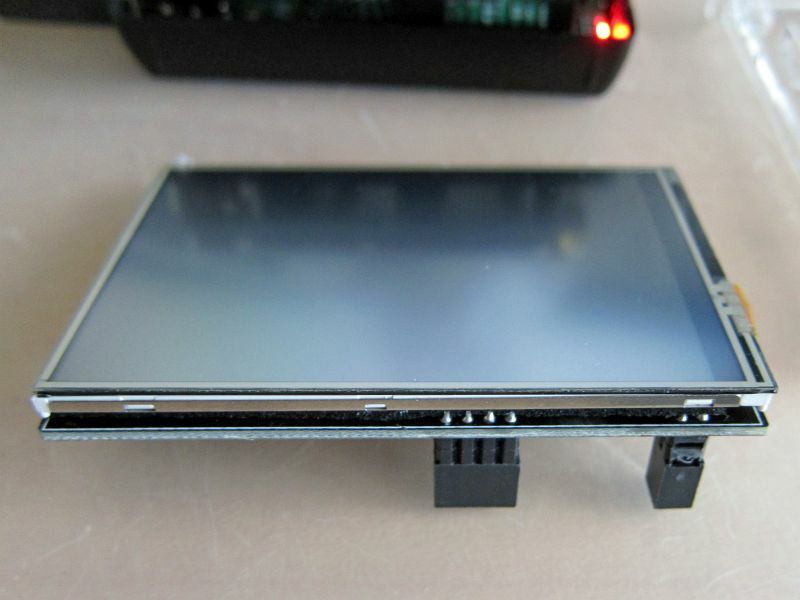 When surfing for information on 3.5 ” TFT touchscreens for the Raspberry Pi, to improve the TinyLCD experience, I stumbled upon AliExpress where several shops offer a 3.5″ LCD TFT Touch Screen Display for incredible low prices. So I ordered two for the price of $14,85, postage included. A acrylic case and stylus is also included in that price! The shop Soonics has good reviews, but you never know if one can trust that. Here my experiences with the screen: quite slow refresh, not too high contrast, crisp screen, touch works, software works but is already outdated, but considering the price this screen is well worth the money! If I compare it to the NeoSec screen it is a better deal for applications with a high contrast theme and no demand on smooth video. Sounds too good to be true? Ordered October 18, received 29 oktober, not bad for standard shipping from China! Well packaged in a box, the displays wrapped in bubble packaging. So now for the test. On the sellers page an URL is placed to get the software, on a Google drive. Not a clickable url, but an image with a long filename to type over …. Oh well, I got the archive. Update June 2016: There is now a download/information page at http://osoyoo.com/driver/rpiscreen.php. Images for more versions (mine i 2.0, latest is 6.2) are available there. Alternative is http://kedei.net/raspberry/raspberry.html with Kali Ubuntu drivers too for version 3.0 and up. 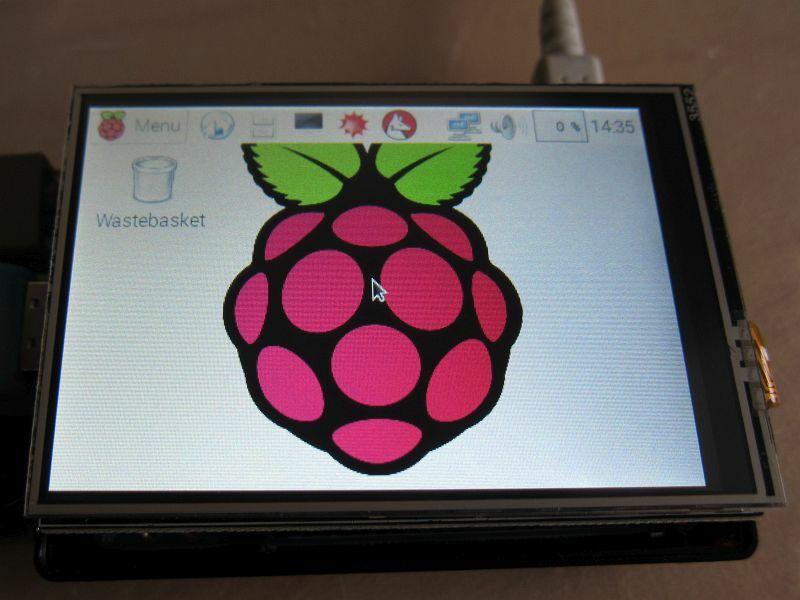 The archive contains an image of Raspbian with the LCD driver installed. The image is quite current, and fit for B, B+ or 2 B. When I bought the screen an older image, build in augustus 2015, was downloadable, the kernel is quite fresh built, early October 2015. After imaging and booting on a RPi 2 B I saw the normal startup messages flying (eh, crawling ..) over the touchscreen and the desktop appeared in the normal way. The image supplied is wheezy, 3.18.9-v7 #27 SMP PREEMPT Sun Oct 4 23:57:41 CST 2015 armv7l. So quite a recent system! Also the Model 1 B and B+ kernel is present, also just current wheezy. In a separate image I found two shell scripts to replace the kernel with either a HDMI or a LCD patched one. Handy! Now the bad news: no word how these kernels were build. So we are stuck with wheezy for now until the Chinese supply a more current build, hopefully based upon jessie. Until then: be careful updating the system by holding back on kernel updates. 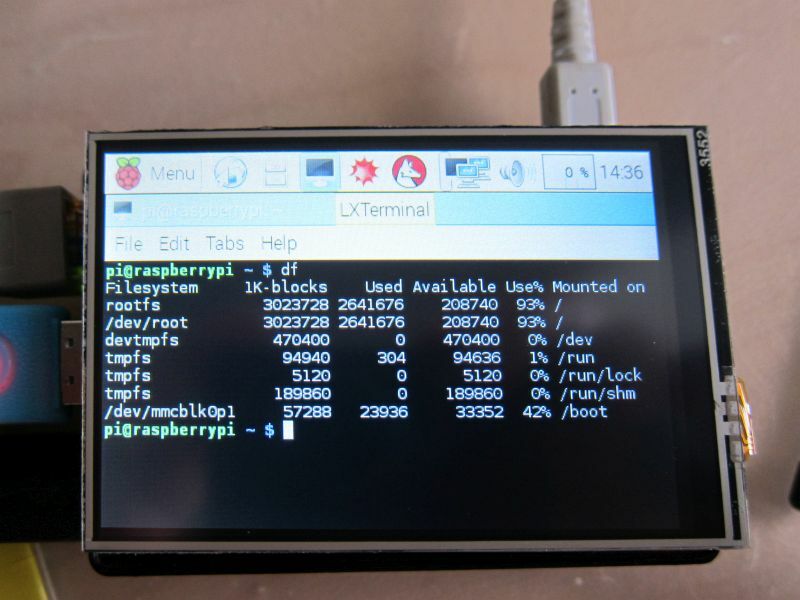 The system uses SPI to copy the screen contents to the LCD screen, and some GPIO’s for the touchscreen. Other GPIOs are free, and the connector construction leaves these pins indeed accessible! 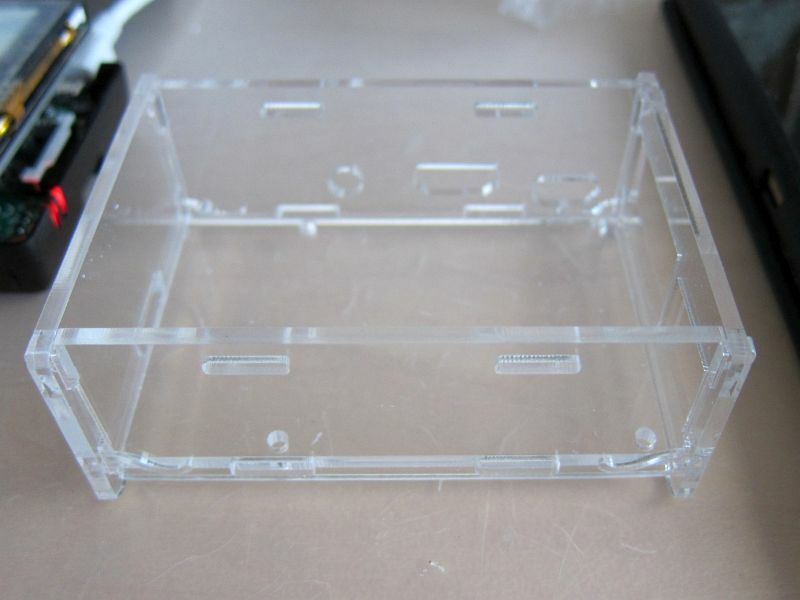 The acrylic case is not something special, it looks like the usual cheap thing without the top plate. The screen fits in the hole, but is not supported by it, instead it rests on the USB connectors. 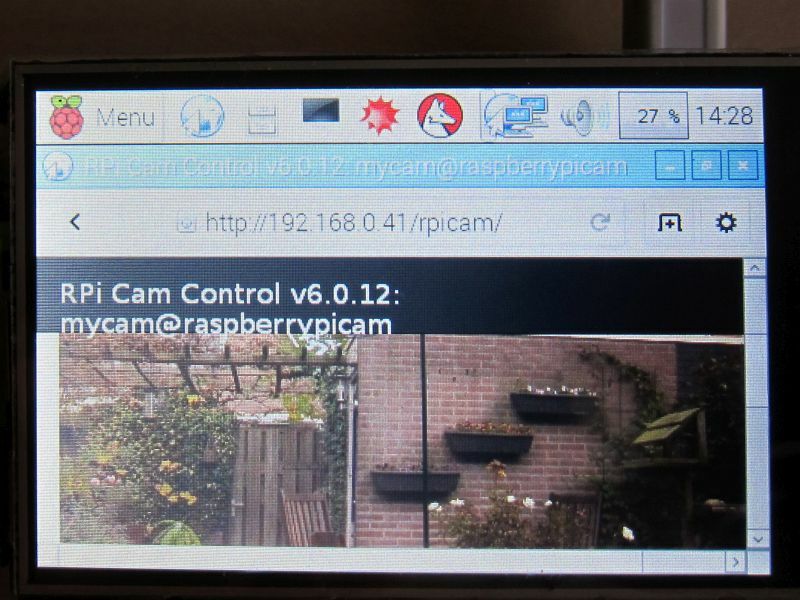 Is possible to use both displays – this 3.5″ LCD and fullHD via HDMI in the same time? The drivers for this 3.5″ LCD are included in kernel? So is there no way to upgrade kernel? Is possible to change the backlight intensity? No, you cannot use the LCD and HDMI at he same time. The scripts included to switch just copy the appropiote kernel and reboot. No way to upgrade the kernel, the drivers are builtin. 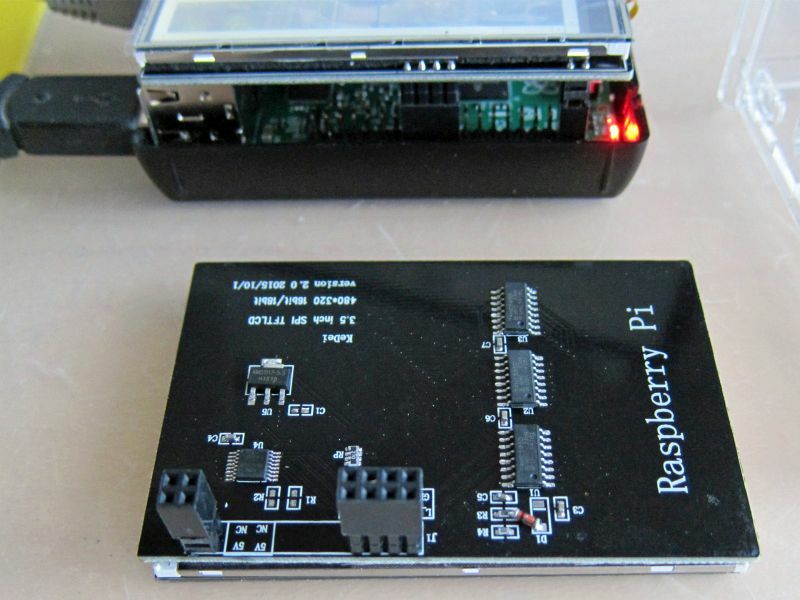 I do not see a GPIO that controls the backlight intensity, it looks fixed. Thank you for this post, very useful. I have bought the exact same touch screen display, and could not understant how to update the system without loosing the display. You post helped me fix this. Do you know how that would be possible to find a specific driver for this display? That would allow to get rid of the dependency to this third party image. I have tried the Adafruit touch screen driver, without success. What software needs to be on the sd card in order for this sucker to work? iv tried almost every site i could find and it still isn’t working. where can i download this software and what software do i need on my windows 8.1 laptop? On the SD card you need an image of the whole Raspbian, of the supplier, ask for it or look at the pages of other sellers on Ali Express. There is a V2 and a V3 of the card. Works fine, the display refresh rate is quite slow. You cannot update the kernel, see the note on the bottom of my page on the blog. On your PC all you need is Win32DiskImager. Really! This is it?! from what I heard from others is that you needed to install their driver. Also, is this going to be able to run python idle or will I have to install that on the sd card too? Thanks a lot for your help so far, I really appreciate it. Worked for me out of the box. Limited to older wheezy, so make sure the kernel is protected for apt-get upgrade etc. See my blog on that. There are files and instructions how to add the adapted kernels etc in the archive. Still limited to older wheezy. But it works for me with what I do with it. Python idle needs an install. BUt it will be of limited use on this tiny screen, much of the interface will be offscreen and it so slow in screen updates. This is not an alternative for a real monitor, 800×600 is a minimal size, 1024×768 is even better. An older cheap DVI lcd screen with a HDMI to DVI adpater (passive, $2 on ebay) is for development usefull. Ok this still doesn’t make sense to me, I tried exactly what you said and it doesn’t work. Can you or somebody else please post a video of the whole process on how to get this thing working from a totally blank sd card? This would help so much. Please. ok I got it to work but can somebody tell me how to permanently change the size of the windows because they are way out of scale. 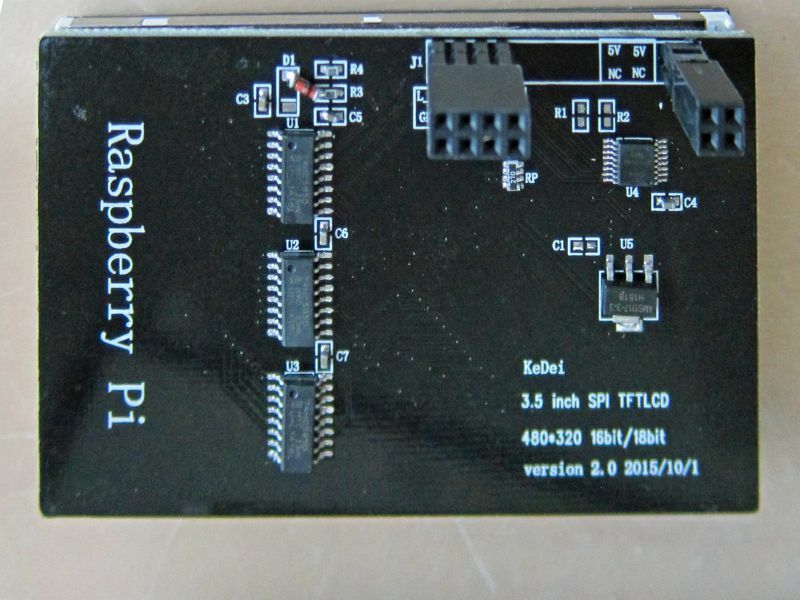 Pingback: OSOYOO / KeDei 3.5 inch TFTLCD touch screen for RASPBERRY PI – Including Drivers for download. | GoAttack!